Personalized Canadian Landscapes Calendars Custom Printed in Bulk. Promotional, Very Inexpensive. Bargain Prices for Canada. Also available in French/English. 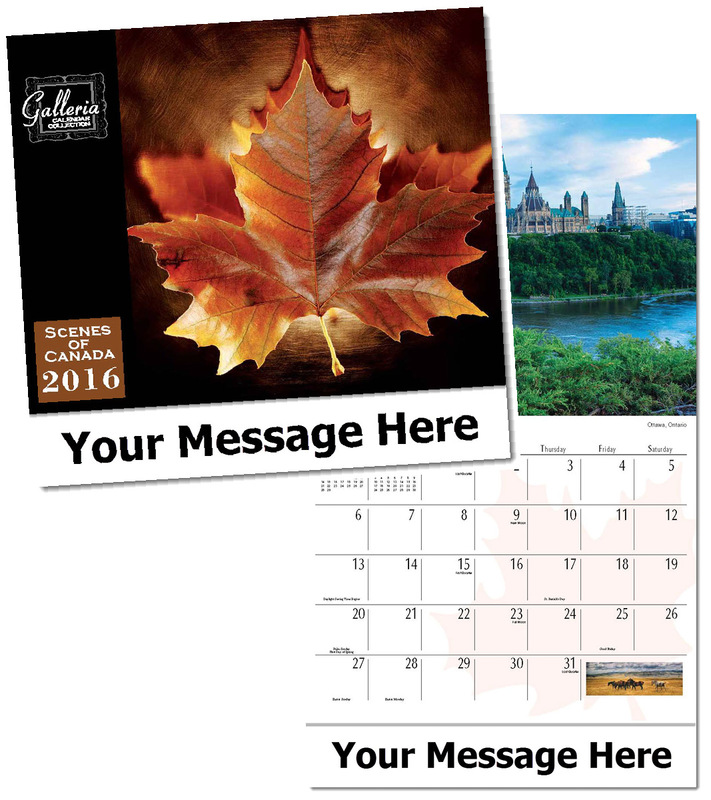 Bulk Scenes of Canada Wall calendars, personalized with your custom imprint. Lowest price in Canada for wholesale personalized Canadian Scenic calendars. Capturing the unique beauty of each Canadian province and territory, these 13 scenes are a virtual cross-country tour. Includes all major Canadian holidays. See our "Early Bird" deep discounts on our Price Table below . Free artwork design and free proofs!